*Clambake*. . 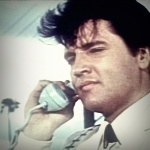 Images in the Elvis Presley club tagged: elvis presley icons clambake. This Elvis Presley icon might contain geschäftsanzug and business-anzug.